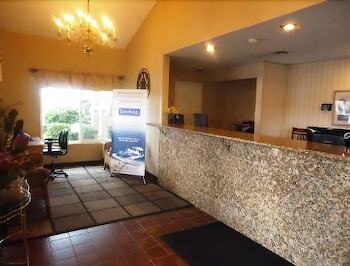 Located in Hemet, Travelodge by Wyndham Hemet CA is within a 15-minute drive of Diamond Valley Lake Marina and Mt. San Jacinto College. 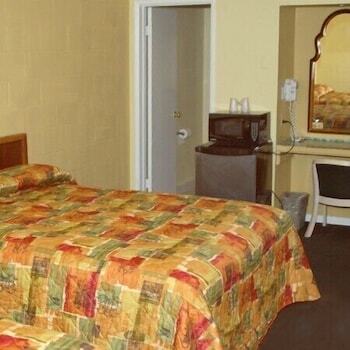 This motel is 7.5 mi (12.1 km) from San Jacinto Mountains and 7.7 mi (12.4 km) from Soboba Casino. Make yourself at home in one of the 73 air-conditioned rooms featuring refrigerators and microwaves. Complimentary wireless Internet access is available to keep you connected. Conveniences include coffee/tea makers, and both cribs/infant beds (complimentary) and rollaway/extra beds (surcharge) are available on request. Travelodge by Wyndham Hemet CA is a 2-star hotel located at 2625 W Florida Ave, Hemet, CA 92545, US . Its nightly price usually falls between $56.0225 per night and $104.545 per night, excluding tax, depending on room category. 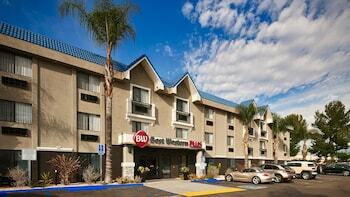 At Travelodge by Wyndham Hemet CA, AAA members often get 7-13% off the regular rate. For example, on December 30, 2018, a AAA rate of $57.28 per night was offered. Depending on your itinerary, your savings can be more than the annual AAA membership fee itself! Many Room 77 users are able to pay for their entire AAA membership in a single stay. 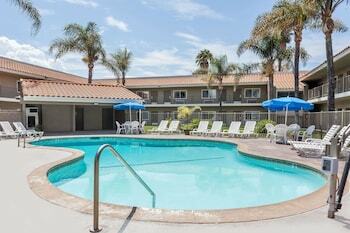 At Travelodge by Wyndham Hemet CA, seniors often get 5-10% off the regular rate. For example, on December 30, 2018, a senior rate of $57.28 per night was offered. $56 per night found for a Standard Room, 1 King Bed, Smoking room type. For December 30, 2018, a special AAA rate of $57.28 per night was found for the AAA Rate - 1 King Smk With Free Wifi Free Continental - Breakfast Fridge Microwave Coffee/Tea Maker room type. For December 30, 2018, a special Senior rate of $57.28 per night was found for the AARP Rate - 1 King Smk With Free Wifi Free Continental - Breakfast Fridge Microwave Coffee/Tea Maker room type. 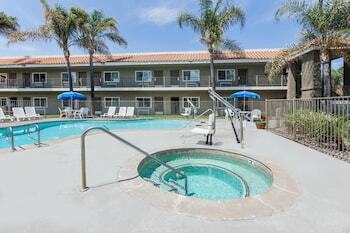 Travelodge by Wyndham Hemet CA sells rooms through sites like Room 77, Expedia, Hotels.com, GetARoom, and many others. Room 77 searches across dozens of different sites to find the lowest discount rates available. The lowest rate we've seen over the last few weeks was found on . In 1% of the cases we surveyed, all sites offered the same rate. You can compare real-time rates from all of these sites on Room 77. Room 77 is the only hotel shopping site that includes special discounts like AAA, senior, government, military, and corporate rates.